In a market update issued on Tuesday, Head of RMB Global Markets Research Nema Ramkhelawan-Bhana said that hitting the R14/$ mark is not "inconceivable" but would require a "strong impetus". With the national elections coming up, rand volatility is expected. "A slightly weaker US dollar provides scope for rand appreciation, but this is likely to be modest at best," Ramkhelawan-Bhana said at the time. In a market update on Wednesday Ramkhelawan-Bhana said that the rand's movements could change depending on the data releases scheduled. These include the SACCI Business Confidence Index and the US consumer inflation figures. The release of the minutes of the Federal Reserve Bank's March meeting and the European Central Bank's (ECB) rates announcement should neutralize any "negative effects" from the data releases, Ramkhelawan-Bhana said. "Both events will confirm the dovish tilt that both developed-market central banks have adopted. "This should leave the US dollar unchanged and USD/ZAR in a 14.00 to 14.13 range, because as we continue to reiterate, risk sentiment is fickle," she explained. Analysts from NKC Economics expect traders to wait for the ECB's rates announcement. 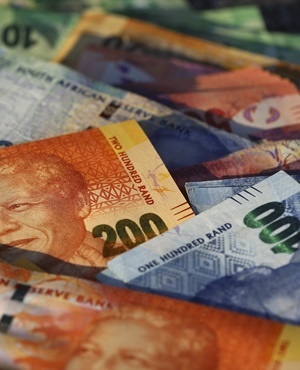 NKC expects the rand to trade between R13.95/$ and R14.15/$ on Wednesday. "This goes against the notion that a negative view of global growth is bad for Emerging Markets. "We have seen Gold trading higher on the news as there was some move to safe-haven currencies, which suggest that an Emerging Market correction is maybe lagging and the next move for the rand could be higher," Botha said.